Boutique breweries are undoubtedly the flavour of the moment, and the Sunshine Coast has an ever increasing number of beerpreneurs serving up top-notch offerings. So if you’re craving a cold ale, lager, IPA, stout or more we’ve got the list for you! The new kid on the block in Noosa’s growing brewery scene, Heads of Noosa opened its doors in early 2019. 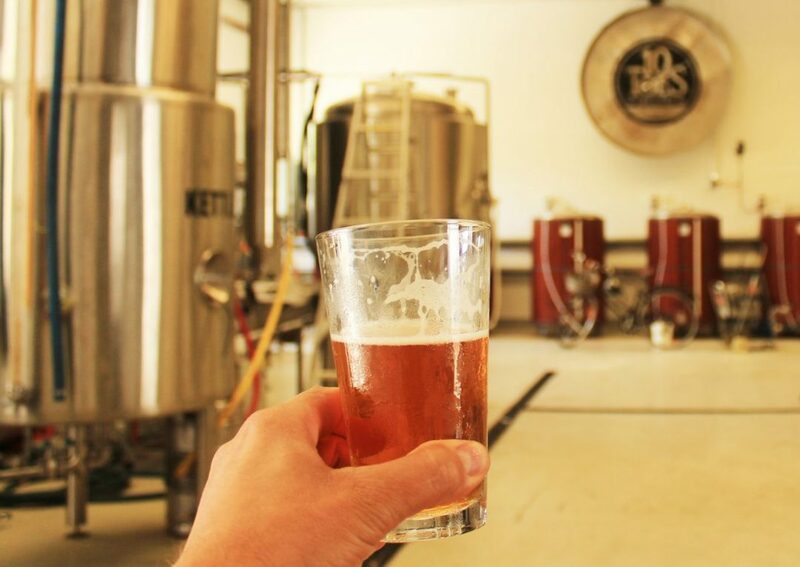 An independent, family-owned brewery, they state that their beers are inspired by the nearby rocky headlands of Noosa Heads. Heads of Noosa Brewing Co. operate a bar/shopfront out of the industrial estate beside Noosa Civic. They enlisted the services of a German master brewer to create their small brand which is predominantly focused on lagers. It includes a Japanese style which is great for the Coast climate, and an Amber lager called Summer Dusk which is a bit more flavoursome with more malt and dry hops. 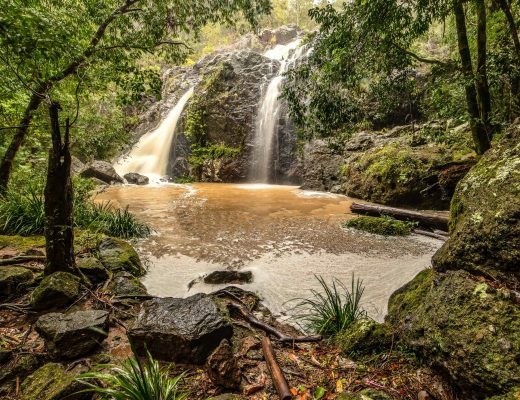 This independent brewpub is tucked away in the hills of the Sunshine Coast Hinterland and is a firm favourite with the locals. The beer is brewed on-site and a tasting can be accompanied by quality, locally sourced food. Another new kid on the Coast block, Glass house Brewery fuses local brews with friendly dining options. With a strong focus on lagers, Glass House Brewery has a 3.5 per cent mid-strength Australian pale lager, a Czech-style black lager, a red IPA, and a Pacific-style lager which have been brewed locally. Land & Sea Brewery (aka Noosa Beer Co.) opened its doors at Venture Drive, Noosaville, (in the commercial estate behind Bunnings) in January 2018. It has already become a firm favourite with locals, and serves up a range of ale, IPA and lager, along with well-priced meals such as burgers, BBQ spare ribs and a delicious looking ‘local plate’ antipasto. Land & Sea is open seven days, 11am to 11pm. 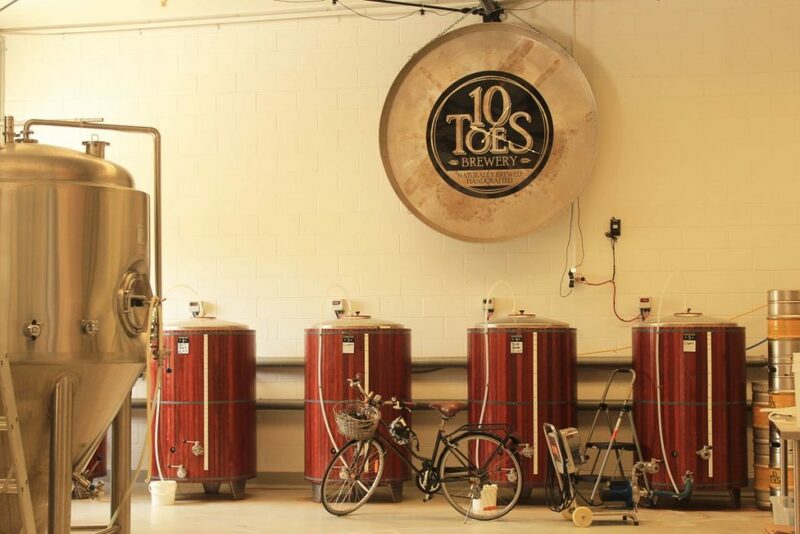 Hidden amongst the car yards and warehouses that line Sugar Road in Alexandra Headland, 10 Toes Brewery is a hidden gem. This family owned brewery’s philosophy is to keep things simple. All of their beer is brewed on site, and they have some of the most beautiful brewing barrels you’ll see anywhere. The brewery is open Wednesday and Thursday, 3pm to 6pm; Friday, 3pm to 9pm, with a food truck on site offering a delicious feed; Saturday, 12pm to 5pm; and Sunday, 1pm to 5pm. 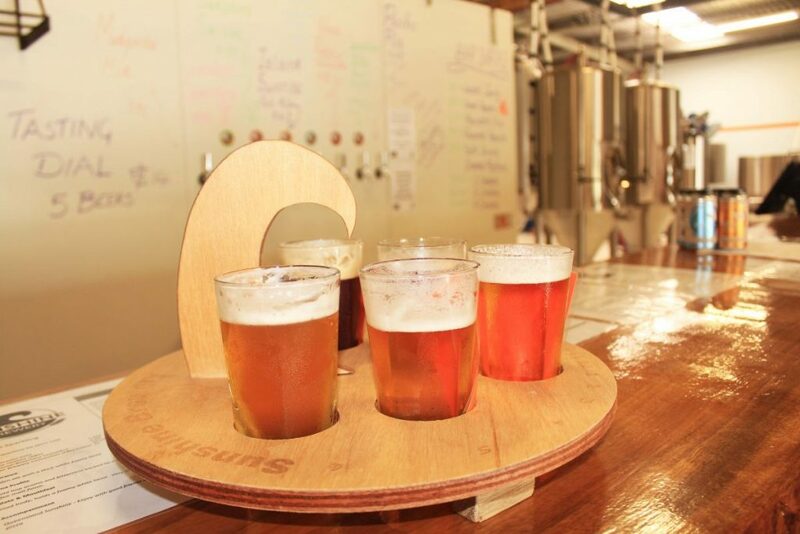 Historically, Eumundi was known for its brewery and the Sunshine Coast community was thrilled when The Eumundi Brewery reignited that heritage when it officially reopened in August 2017. Located in the 100-year-old Imperial Hotel, you can taste their beers at the bar, tapped direct from the brewery tanks. You can also book in for a 60-minute Tasting Tour for $20 with a ‘tasting log’ included in the price. Founded in 1998, this boutique brewery is based in three industrial units in Kunda Park. The brewery and bottling plant are located at the back and a bar and function room spread over two floors at the front of the complex. The bar is open to the public from 11.30am to 2pm for lunch and drinks from Wednesday to Saturday and on Friday afternoons. As many as 10 quality craft beers, including some experimental brews put down by brewer Simon Grasby, can be on offer at any one time. Copperhead is another brewery that offers a real focus on quality food. You can enjoy a burger at the bar with a cold beer or sit down to an a la carte meal with full restaurant service.​ They are a small batch bespoke brewery, with a regular seven sessionable beers on tap, with the addition of ever-changing experimental batches for the craft beer aficionado. They don’t wholesale their beer, so you have to visit the brewery to enjoy them. Summer ale, pale ale, IPA, stout, sparkling ale, saison – you can get it all at Sunshine Brewery. Open Wednesday to Sunday from 10am to 7pm, we recommend stopping by for a tipple. Their tasting paddles are pretty cool to look at and even better to drink. Bar snacks are available but watch their Facebook page for details of when local, delicious food trucks will also be stopping by. There is also a small indoor play area with toys etc to keep the kids entertained. Housed in a heritage-listed building in Cooran, expect laid-back vibes, beer brewed on site and tasty eats. This is a rustic style brewhouse that specialises in craft beer and is open Friday and Saturday from 11.30am until 9pm. For the health conscious, gluten-free beer and beer with probiotics are on offer. Just off the beach at (you guessed it) Moffatt Beach, this brewery serves up a refreshingly, unique experience by crafting, fermenting and serving their beer direct from the tank in their restaurant. They are touted as Australia’s only beachfront brewery and have the chilled out clientele to match the location. They specialise in handcrafted ales and also regularly serve up live music (check out their Facebook page for the latest details). 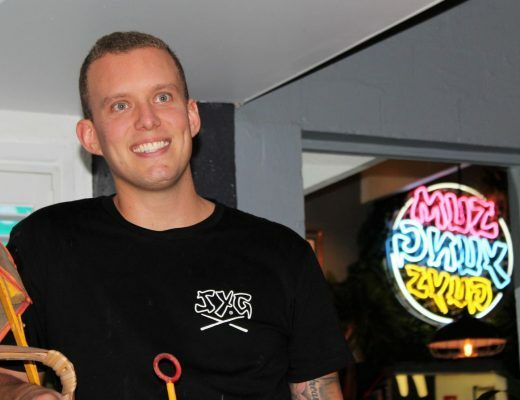 Your Mates Brewing Co (you may of seen them on the Shark Tank TV show) opened up its permanent base at Warana in late 2018, after previously gypsy brewing at MacLeod Brewing Company. Their brewhouse serves up a pretty extensive menu alongside a selection of their brews. 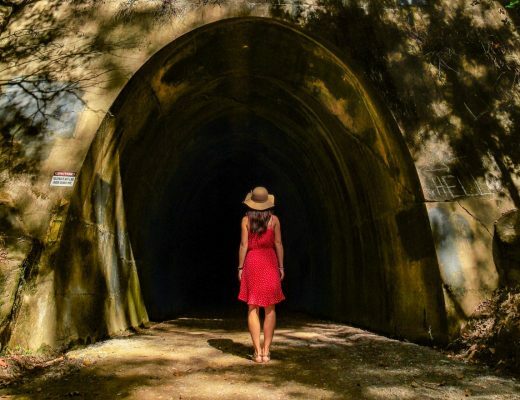 CLOSED – MacLeod Brewing Company in the Sunshine Coast hinterland was a family owned and operated craft brewery that’s served and brewed out of The Big Barrel in Maleny.